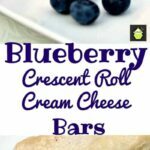 Blueberry Crescent Roll Cheesecake Bars. 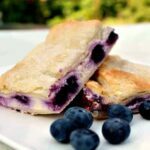 An incredibly easy recipe with cream cheese and blueberry filling sandwiched between layers of pastry. 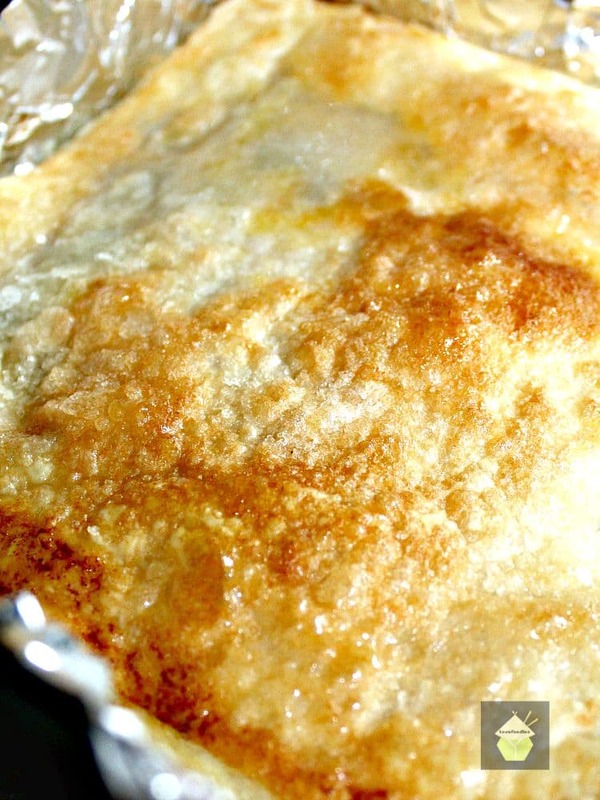 It’s our twist on the famous Mexican Sopapilla dessert. 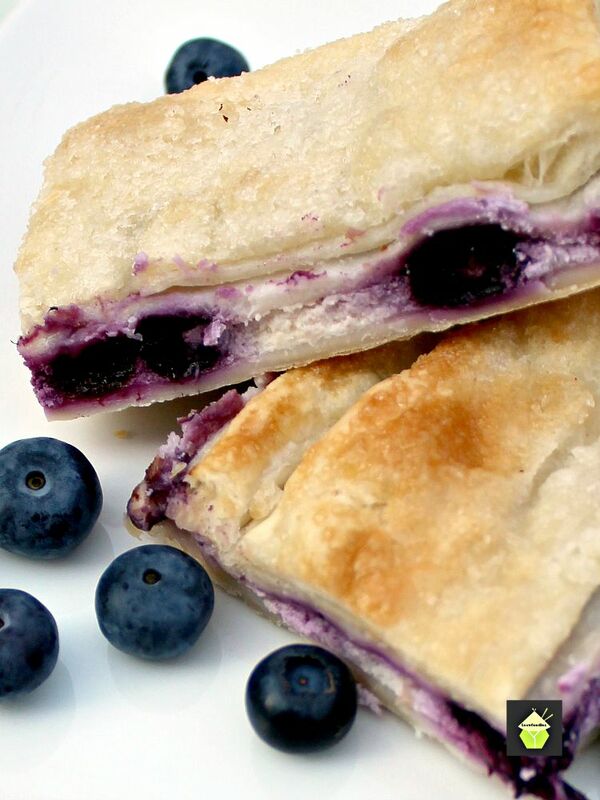 The addition of the blueberries adds a slightly tangy taste in contrast to the sweet and creamy cream cheese filling. 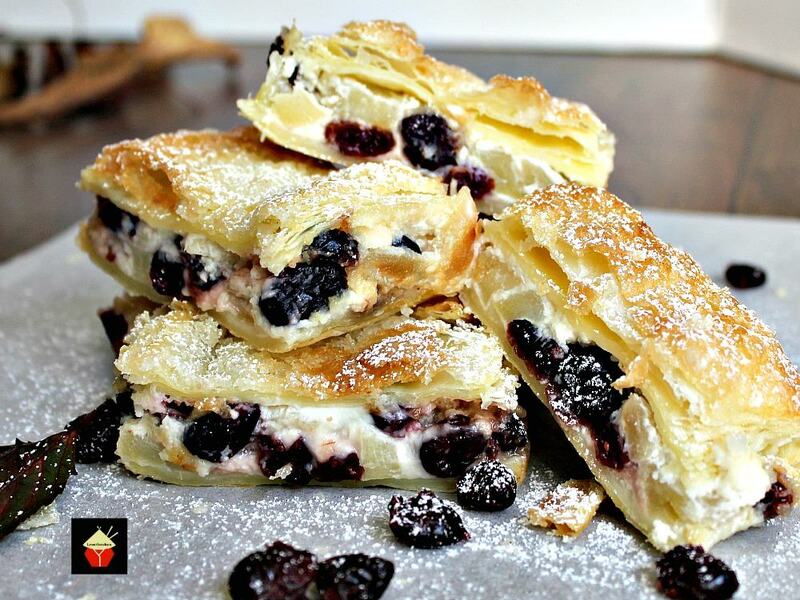 Bursting with juicy blueberries in every bit, this is a really delicious dessert, served warm of cold, and of course perfect with a cup of tea any time! The great thing about these Blueberry Crescent Roll Cheesecake Bars is that you can make ahead and either freeze and simply defrost when you’re ready, or keep refrigerated for a couple of days then serve. So they make a great treat for parties, Thanksgiving, Christmas and other times when you want to make ahead and be prepared! 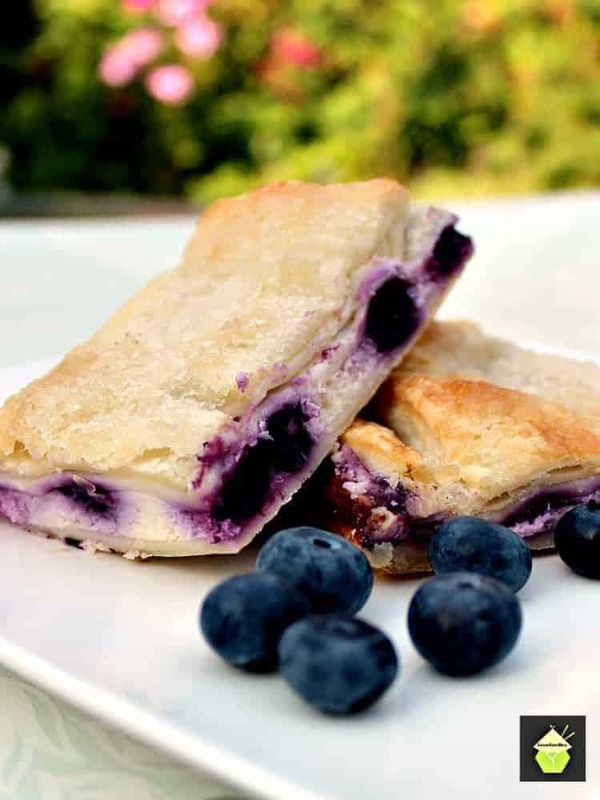 So please enjoy our delicious Blueberry Crescent Roll Cheesecake Bars. We’ve also got a delicious Strawberry Crescent Roll Cheesecake Bars recipe if you’d like to try that too! 1. Pre heat oven to 350 F or 180 C.
Unroll and spread the crescent rolls or puff pastry sheets flat then cut in half. Then with one half of the pastry, line the bottom of a greased 8 x 8 baking pan. I also line the pan with foil first so it is easier to lift out after baking. 2. In a mixing bowl, add the remaining ingredients EXCEPT the butter and regular sugar. Mix well with a spoon or whisk. 3. Spread the mixture evenly over the crescent roll / puff pastry layer. Then add the blueberries all over, and add the 1 Tablespoon of regular sugar over the blueberries. 4. Carefully place the other layer of pastry on top of the cream cheese mixture, then using a brush, spread the melted butter on the pastry and then a sprinkling of sugar. 5. Bake for 25 – 30 minutes until golden brown.Allow to cool for 15 – 20 minutes before trying to slice, so it can firm up a little. Serve as it is or with a nice blob of whipped cream! 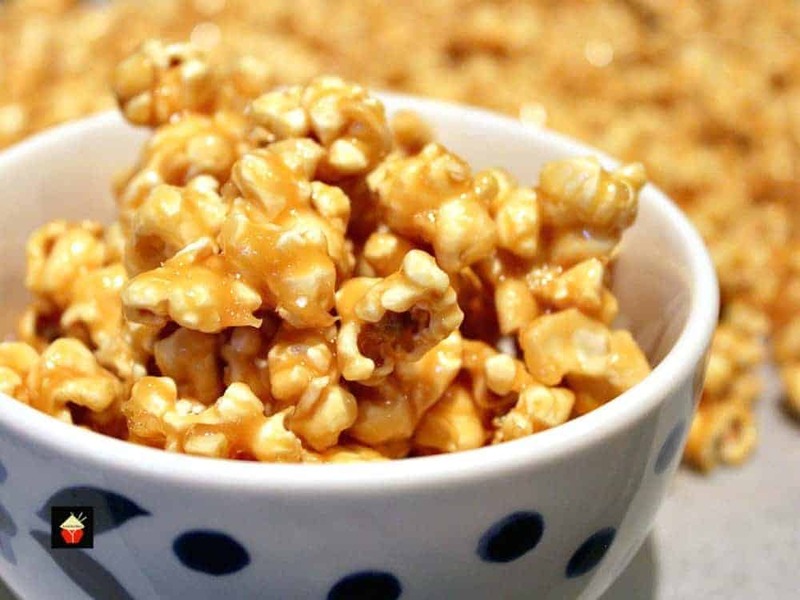 Here’s a few more easy snack recipes for you to enjoy! Pre heat oven to 350 F or 180 C.
In a mixing bowl, add the remaining ingredients EXCEPT the butter and regular sugar. Mix well with a spoon or whisk. Spread the mixture evenly over the crescent roll / puff pastry layer. Then add the blueberries all over and add the 1 Tablespoon of regular sugar over the blueberries. Carefully place the other layer of pastry on top of the cream cheese mixture, then using a brush, spread the melted butter on the pastry and then a sprinkling of sugar. Bake for 25 - 30 minutes until golden brown.Allow to cool for 15 - 20 minutes before trying to slice, so it can firm up a little. Serve as it is or with a nice blob of whipped cream! Could I use pie filling instead of frozen berries? Hi Gena, I’ve never tried it with pie filling. my only concern is it might be a bit runny / soggy in combination with the cream cheese. You could try adding 1 beaten egg in to the cream cheese mixture then adding a layer of pie filling and see if that will help it firm up. Please do come back and let us know if it works and what you did! Hi Christine. Thanks for the update! You are right to probably precook the base if you’re using a toaster oven. Obviously if it’s a fan oven etc then there wouldn’t be any issues with even cooking so I’m glad you know what you need to do the next time around! Hi Christine, the lemon amount literally is a squeeze. So I can understand why you would need to add more sugar to take off the sharpness if you’ve added a whole lemon. At least you’ll know for next time! Sorry you misunderstood! For keeping, you can indeed refrigerate. In fact it is better after its chilled for a few hours because the filling firms up and it’s much easier to slice. I’ve tried it warm and also chilled and I much prefer the chilled version. Hope that helps and you weren’t put off from making it again with the lemon juice! Just put this in the oven. My only complaint is that it says to mix all ingredients except butter and sugar, so I put the blueberries in the cream cheese mixture. I’m sure it’ll taste great still though. That was the same issue that I had and I came here to say just that! 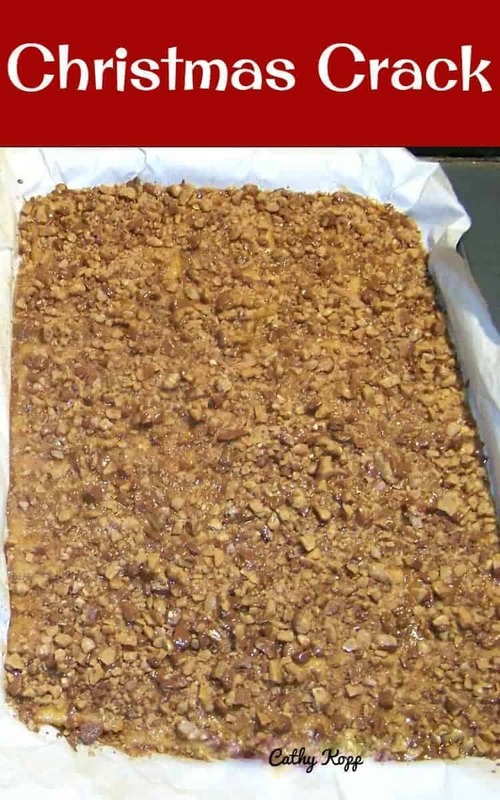 Have you ever tried to double this, and make it in a 9×13 pan? I mixed in homemade lemon curd with the creamcheese, it’s in the oven and can’t wait for it to come out and cool so I can try it. Thanks for such a simple recipe. Just made these for the second time today. I like them warm but LOVE them cold…after the filling has set up. Hi Julie, yes. You can use fresh. Just make sure you do chill it so it can really firm up after baking. Please enjoy! This looks so good plus simple to make. I have fresh blueberries I plan to use. Does the lemon juice get mixed in with the cream cheese, or get sprinkled on the blueberries? Thank you! Hi Lucy, just add the lemon in with the cream cheese. Please enjoy! Can these be frozen for a few days? Just made theses and to die for!! Love blueberries and cream cheese and the puff pasty and my dream came true!! Thanks darlin for the recipe!! Y’all have to try this recipe!! Are the “1 Tablespoon Regular Sugar” and “Sugar for sprinkling” used for the same thing in the ingredient list? I wasn’t sure when the “1 Tablespoon Regular Sugar” came into play…. Hi Christy, Sorry for the confusion! I have edited the instructions so it is a little clearer. 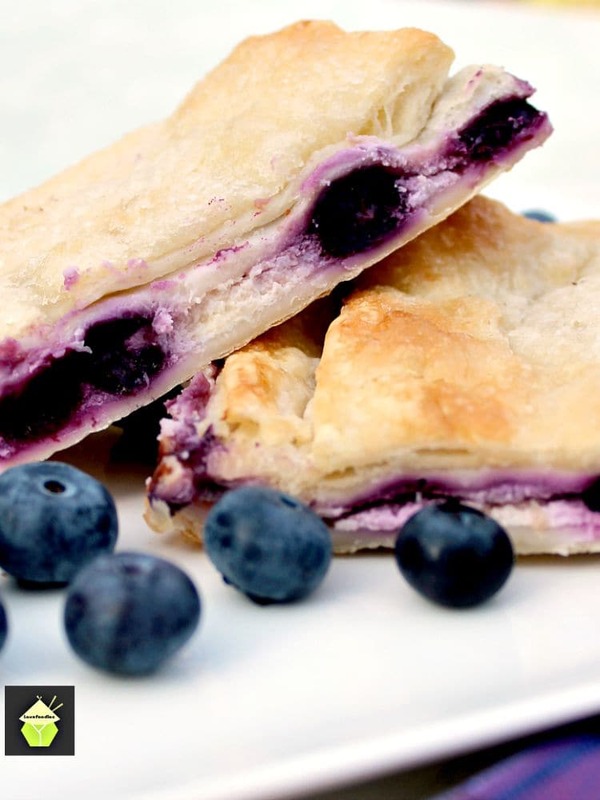 The regular sugar is for on top of the blueberries, and the sprinkling of sugar (as much or little as you wish) is for the actual topping of the pastry, after you add the melted butter. I hope this clarifies, and apologies once again! This looks wonderful, except I never use full-fat cream cheese anymore. I always use the Light CC and my friends don’t even know the difference. 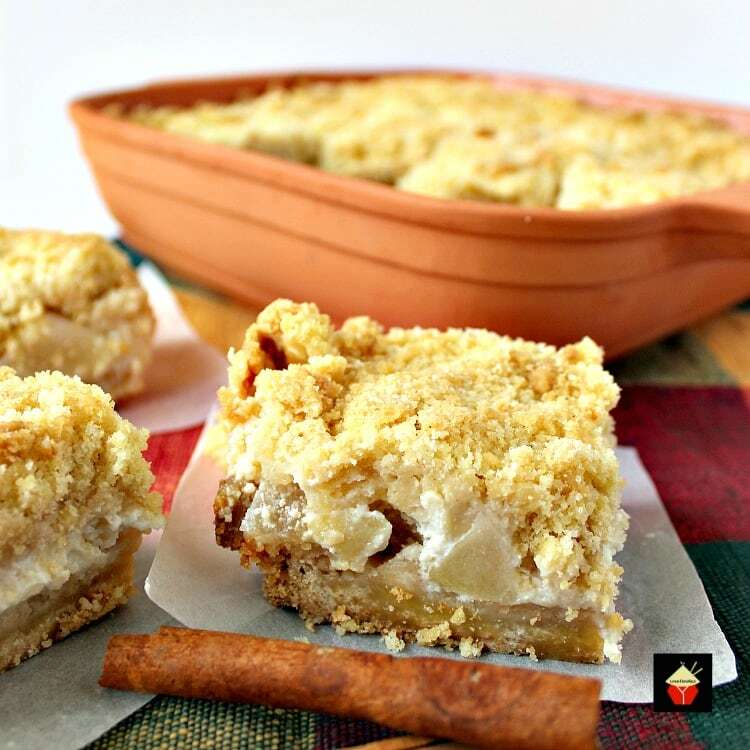 I was also thinking this would be delicious with thinly sliced peaches and instead of plain sugar, I would use a TBSP of cinnamon sugar both inside and sprinkled on top. Yes, indeed, you could use any fruits you like. I’ve made this using sliced strawberries and it was so delicious!! The light cream cheese is also good, but not everyone can find it where they live so I just say to use a’cream cheese’ and at least that way people can decide their preference. If you make it with peaches let us know how it turned out. It sounds delicious with the cinnamon sugar, and peaches are so yummy too!! Thanks for writing in and hope you had a nice weekend!